This watch technology does not have hands, or dial. 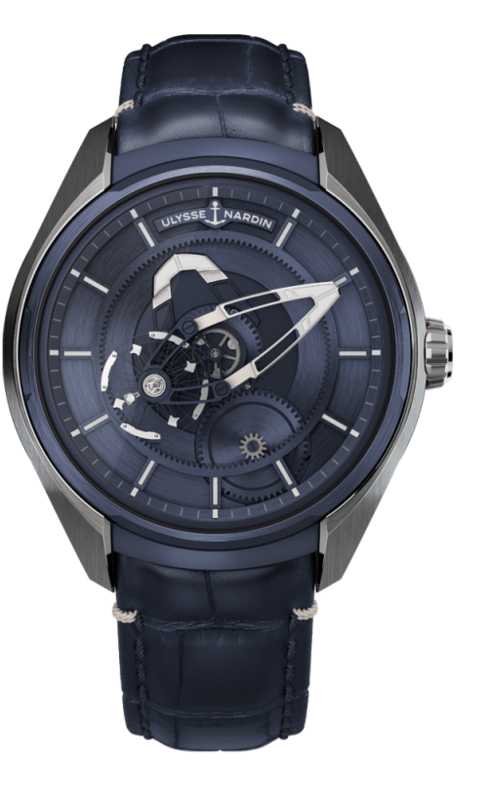 It is a Hi Tech Titanium, 43mm case, with a Flying Carousal, blue main plate, and In House automatic movement, featuring a glass exhibition back. 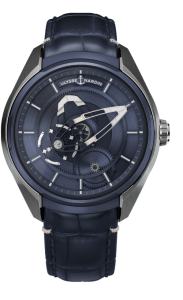 The movement features the latest in Ulysse Nardin Silicium technology. Available on sporty alligator leather strap and folding buckle. PRICE $21,000 dlrs. To purchase this watch CALL US 956.687.2981.